A very personal present to the man you love. The smallness of size enable these sterling silver collar stays to be slipped into the over night-bag and be forgotten. 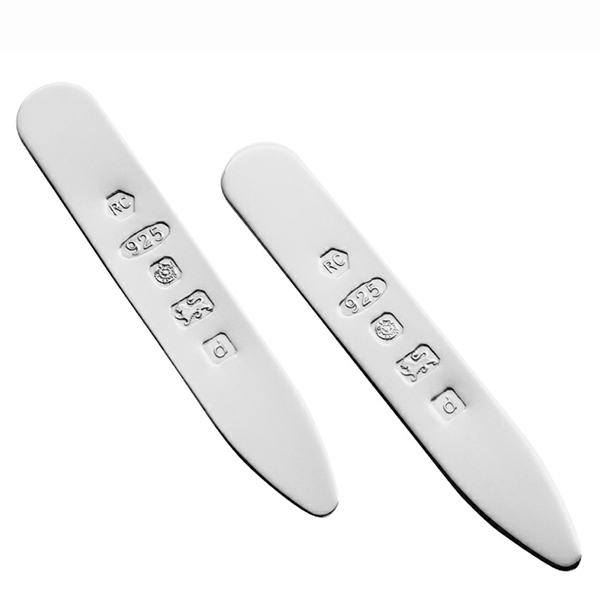 Engrave each one with initials and a date and he will not forget where they came from.